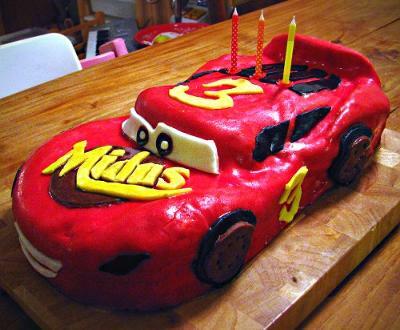 What a really cool Cars Cake for any child! 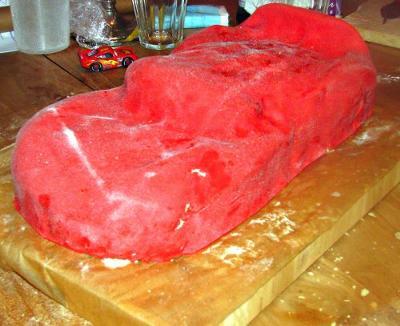 This Lightning McQueen cake was made by Ruben for his three year old son. It has amazing details to match exactly with the model. 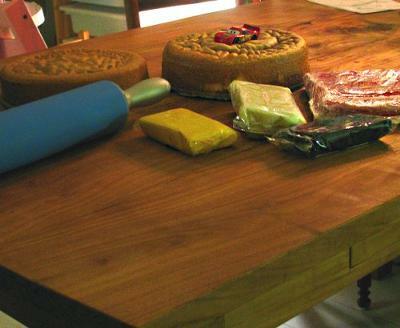 Made from two round cakes, it takes a lot of talent to sculpt into the perfect shape. 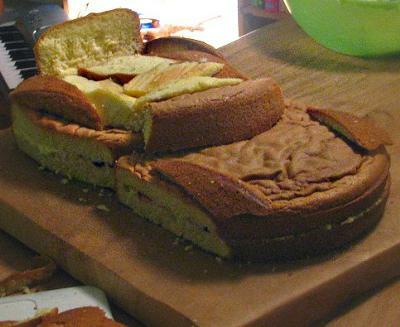 After sculpting the cake, the entire cake was frosted. A sheet of red fondant rolled out and placed on top and shaped. Details were then added for the final touch. Thank you Ruben for allowing the use of your pictures to feature this really cool Cars Cake! !